I've been decluttering my collection for quite some time now so that I have a collection where I'm happy that everything contained in it I either love, like, adore or I'm testing, where I don't own anything that I really dislike. Therefore, I thought it was the perfect time to start doing a makeup collection series as I'm overly content with my collection at this moment in time. 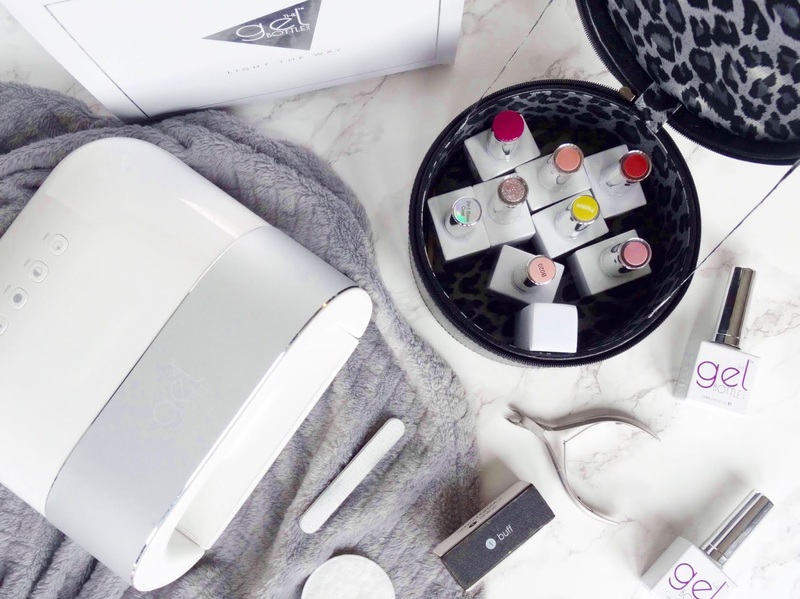 Of course, I am always eyeing up new products and my wishlist is forever growing but for now, this is my collection. To begin the series I thought what better way to start it off than with my primers and setting sprays. 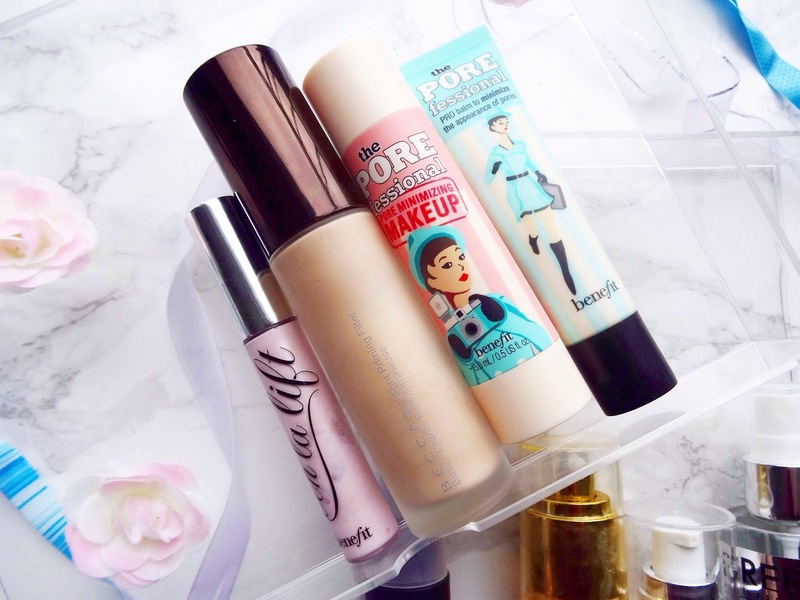 Primers are something I rely on heavily for creating the perfect base for my makeup to go on top of, whether it's one that's hydrating for my cheeks or blurring for my pores, each one is very important. As for setting sprays, I'm not too sure about them, do they really keep your makeup on for longer? In my eyes, they're ideal for fixing any cakiness and just ensuring powders are all seamlessly blended into one. I've gone through quite a few of these tubes before and if that doesn't scream I love it then I don't know what does! It works amazingly well at keeping my foundation on throughout the duration of the day, especially on my nose where my skin is at its oiliest. Not only that but, it minimises the appearance of pores in the area as well, great for oily/combination skins. I love reaching for this primer on days where my skin is on the duller kind of side, where I need that extra ounce of luminosity and glow to brighten it up. It's a very glowy primer which gives you radiance and a healthy glow, great to be used alone or underneath foundation. I also love the scent of it! Not enough people talk about this product. Some think it's a foundation, some think it's some sort of serum but it's, in fact, a primer to fill in your pores before you go in with your other base products. It's very unique and one you'll want in your life if you've got visible, enlarged pores as it makes them disappear making your skin look flawless. This is another one of Benefit's products that is underrated. I like to think of this as a primer because it gets your under eyes in shape ready for concealer. It brings you a lovely amount of brightness underneath your eyes, making you look more awake, dewy and beaming. Definitely, a product you need if you have had lack of sleep and your undereye area is looking a bit dull. The Ones That Are OK! This primer adds a bit of an extra step into my routine in the mornings as I tend to pair this with another primer that I'm using that day. It enhances the dewiness of my skin as well as creating a tacky to touch base for makeup to go on top of. The spray can be a bit spitty which is why I'm glad it's not used for finishing off your makeup! I recently mentioned this in a disappointing products post as the name is a tad deceiving because it isn't hydrating in the slightest. One of the ingredients in this primer is silicone, which is used more for smoothing and blurring of the skin which is what this product is good at. If you are looking for a hydrating primer you won't find it here. When I first got this I couldn't stop using it. It's almost identical to Benefit's porefessional, however, this one contains more skincare and antiaging properties which will benefit you more in the long run. It's a silicone based primer which smoothes, protects, seals in your skincare products which you applied beforehand as well as blurring fine lines and pores. The Ones I'm Testing/Unsure On! I've only used this a couple of times and I haven't been blown away by it. There's a lot of hype surrounding this setting spray and it's making me question whether they actually do anything. The mist is one which everyone will adore because it is incredibly fine but when I don't spray it up close, to my face, I don't notice whether I've sprayed enough as I cannot feel it. Someone help me fall in love with setting sprays. 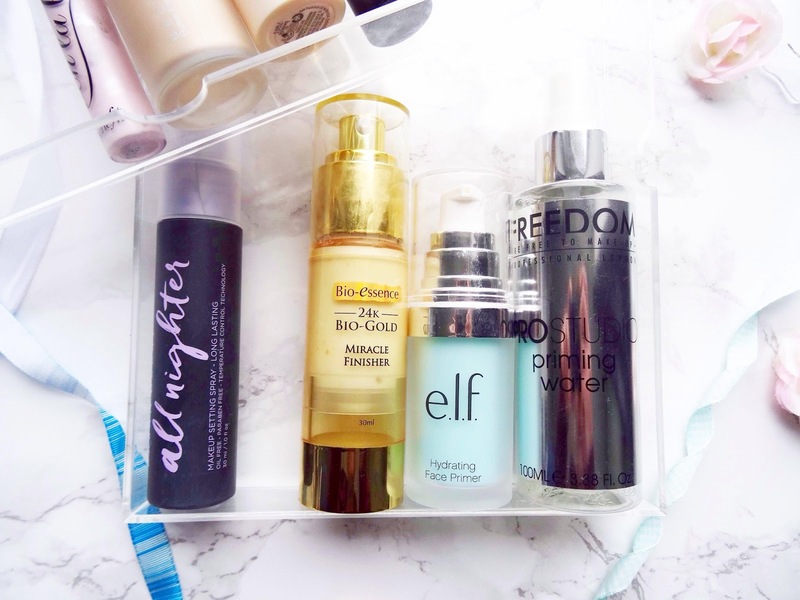 Until writing this post I didn't realise how many Benefit products I owned and loved. Despite their quirky designs and packaging they definitely win my heart in terms of primers. 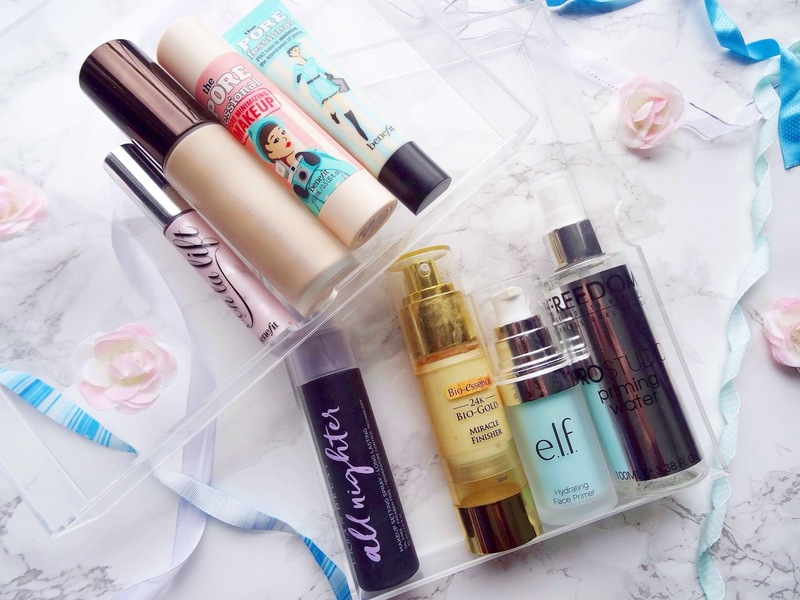 Anyway, that was the first part of my makeup collection series, what's your favourite primer or setting spray and have you tried any of these before?